Birmingham Hippodrome’s Illuminate event takes place from the 25th to 27th October with a great line-up of interactive lightworks. 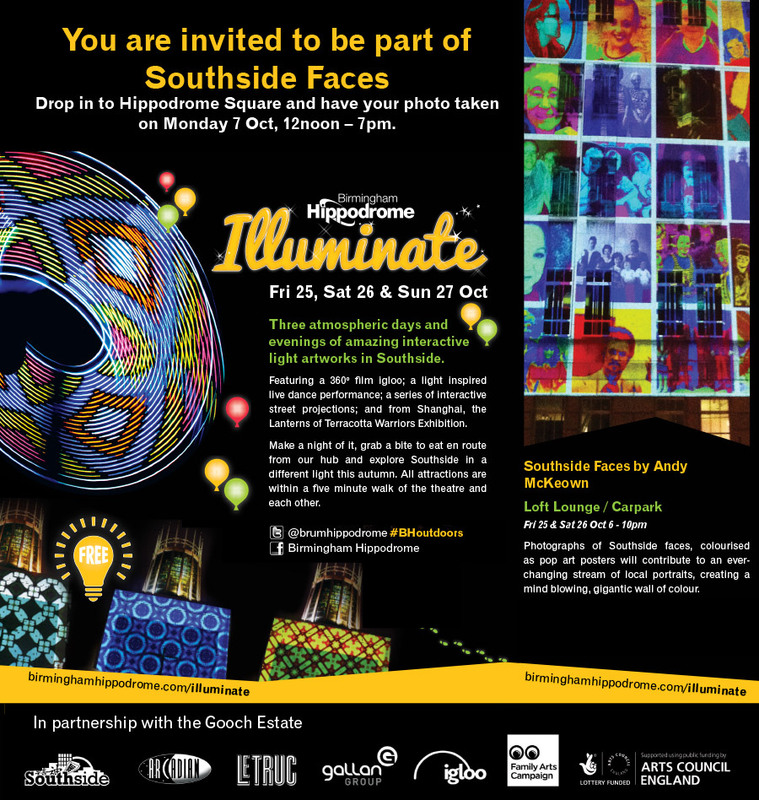 They are looking for people to take part in artist Andy McKeown’s installation – Southside Faces. Andy will be at Hippodrome Square this Monday the 7th October from 12noon to 7pm to take pictures of the public to be included in the display. This entry was posted in Art, Birmingham, Festivals. Bookmark the permalink.